After weeks of synchronising diaries, Hilary and I finally had a date earlier this year to meet the “world famous” Stella Tennant. We were early. Even taking into account an unscheduled visit to the pretty market town of Duns where we definitely did not want to be, we eventually managed via common sense and sat nav to arrive some 15 minutes ahead of schedule. Just how I like it. Stella driving down from Edinburgh arrived just a little afterwards. I thought it might be a little tricky – it is a big ask, asking someone you do not know if they have something appropriate to lend a small museum & gallery in the north of England they have never heard of, but her response had been immediate. Hilary and I were trying to be really cool and professional not letting our excitement show but the words that strike joy into any woman’s heart are “why don’t you come upstairs and have a look at my clothes”. Our eyes turned into heart shaped emojis as we looked at, discussed and listened to Stella’s wonderful anecdotes about each garment – how Alexander McQueen had taken a pair of scissors to a little black dress she was about to wear, shredding it and, in the process, creating something extraordinary. The blue velvet Commes des Garcons dress Stella wore to the Met Ball in New York where she won best dressed model: the shoes she was to wear with that dress were white and boring so she took them to some world famous hair artiste who drew bows on and signed them. As you do. Amazing shoes and beautiful handbags were thrown into the mix and I had the enviable task of photographing and noting them all down so collection later in the year would be straightforward. We had not expected such support, enthusiasm and generosity. Stella assured us she was delighted here clothes were going to be looked at and would benefit our museum. You can imagine our journey home. Well no, you probably can’t. It wasn’t quiet. Hilary’s plans of plans – where each gown could be displayed to best advantage. And scaffolding was much discussed and then, pausing for breath we found ourselves turning into Berwick Market place. To this day we don’t know how that happened. Fast forward to early March. Same journey only this time with Harry in convoy. Same glorious weather – must always be like that in the borders and, we found the house without hiccup. Hilary at our last visit had rather cleverly, in my opinion, pretty much roped together the gowns we had chosen and they were still there which was a good start. Harry was there to film the selection process, the three of us bringing down the gowns and hanging them on a rail in Stella’s sitting room. There were shoes and bags everywhere – sigh – it was heaven. Stella gave a little anecdote about each dress, included a couple of hats and that was it. I typed up the itemised loan sheet (41 items) and we loaded everything into the back of the car. Again, you can imagine our journey home. Well no, you probably can’t. Still not quiet and this time not via Berwick but Duns and Wooler so Hilary could drop off leaflets. We were shattered. This has to be one of the most exciting exhibitions I have been involved with and at time of writing (Saturday 31 March) the set up begins tomorrow and next week. 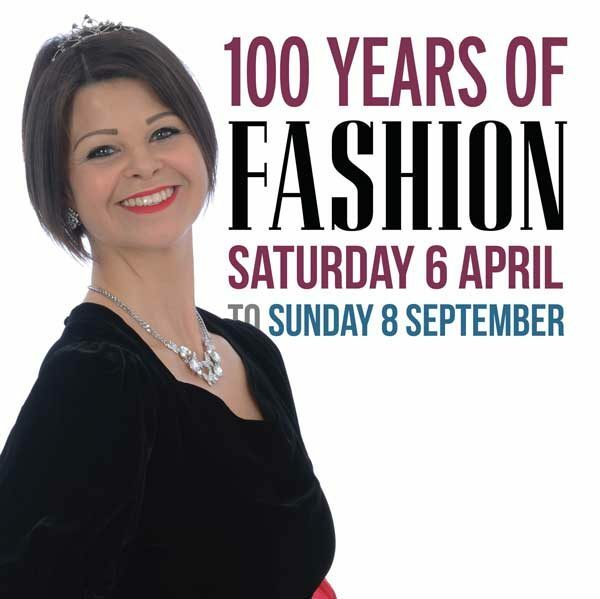 I know it is going to be a brilliant event for the museum and I cannot wait to see how it comes together….